The Nokia 603 has arrived officially today and it packs quite a punch given the affordable price tag it carries. Of course, it comes with Symbian Belle, the latest update to Symbian bringing improved visuals, six home screens, enhanced browsing and a lot more, but at its core you’re still dealing with Symbian. But first let’s see what we have in terms of pure hardware on the Nokia 603: a 3.5-inch ClearBlack display with toughened glass and a resolution of 360 x 640 pixels, a 1GHz processor powering the richer visuals of Belle, and a 5 megapixel camera recording 720p videos at 30fps. Combine this with an off contract price of around $270 (200 euro), and on paper this looks like a win for Nokia. Additional features include NFC support, allowing you to bump your phones for a fancy way to exchange data. You can also easily hook up Nokia’s newest NFC-enabled accessories including a neat little external speaker and Bluetooth headsets. 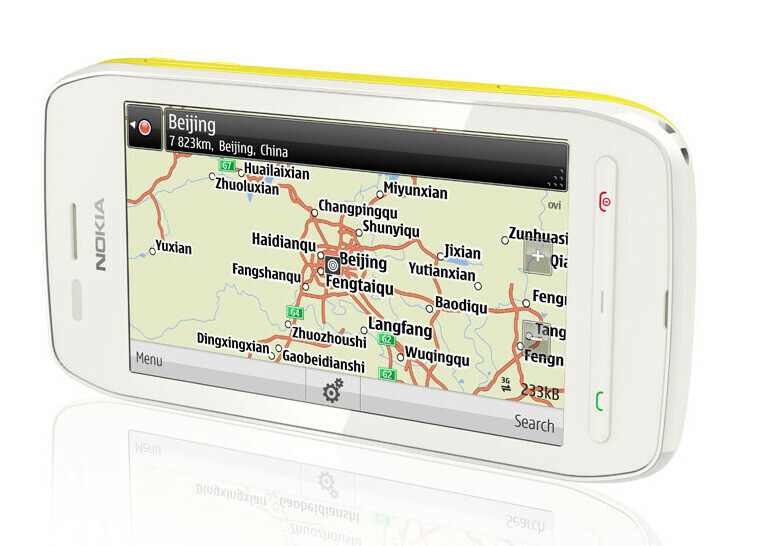 The phone is also pentaband, so you can use virtually everywhere in the world. It’s also packed with apps including Angry Birds, Fruit Ninja and Shazam for entertainment and QuickOffice, MS Office Communicator and Adobe PDF Reader for business. 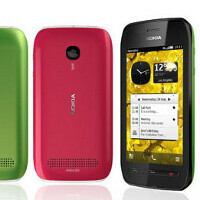 The Nokia 603 comes in black and white versions, but there are six differently painted back covers, giving you plenty of color choices. When it comes to thickness, the 603 is middle of the road with 0.5” (12.7mm) profile. It’s lightweight, though, tipping the scales at 3.77 ounces (106.9g). The main trade-off seems to be Symbian. Belle makes it look better than ever, but at its core we all know that it’s the very same system, which is in the process of being deserted by Nokia. Of course, the Finns promise support up until 2016, so there’s still years of lifetime for the platform, but it’s no longer the company’s main priority. Lastly, the Nokia 603 release date is Q4, but our guess is that it won’t be arriving stateside, not subsidized on a carrier at least. Hopefully, we’re wrong, though. Check out the video to see the 603 in action and chime in with your comments below - has Nokia managed to find the sweet spot between price and functionality? correct me if I'm wrong but if I may recall symbian has some issues with skype implementaion, thus no front facing camera . . . These issues are totally separate. No need for skype for video calls, though yes, it's annoying that Symbian's version of skype doesn't support this. In other areas of the world, all you need is 3G to make video calls, just some networks (including all of them in the US) don't let you use that functionality. http://conversations.nokia.com/2011/10/11/video-calling-with-nokia/ It's probably missing to keep costs down, and to be fair, front facing cameras are probably not among the most frequently used feature on a phone. Fixed-focus AGAIN??? No led flash and secondary camera? The phone design is no different from Symbian Belle phone. Maybe it's time for Nokia to think about their designers and engineers...no good idea at all. Your attempts to reign down on Nokia are futile!